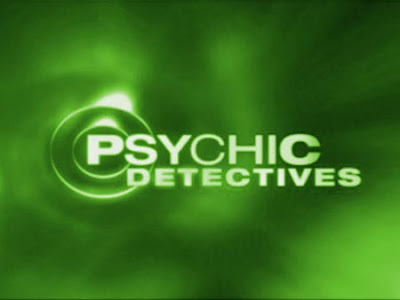 According to the Masters of Light the issue about Psychic detectives is a fraud, they are mainly people who have higher intuition or simply mediums that channel their own thetans or even to the spirits of error. Moreover, we know that 99% of the mediums channel erroneously. For that reason the system that psychic detectives use cannot be reliable at all. For one psychic detective that helps the police, there are other thousand psychics who will waste police time. When they appear on TV, obviously they only show the successes and they omit the failures. Interlocutor: Well, the first question I want to ask you is related to psychic detectives or clairvoyants who in some cases appear on TV shows, allegedly they help forensics and police detectives in the solution of certain crimes and the capture of those criminals. The problem is that there is nothing concrete about these people whether or not they help the police, moreover they have many detractors as well as fans. Ruanel: Most of them are deceiving people, it is a lie they help people, they don't have the clairvoyance they say they have. Besides fortunetelling doesn't exist, what they simply have is a slight intuition, but many of them play with that to earn money or fame. On the other hand, it is obvious that as it was already said in other opportunities, if you wanted to help the police giving information that nobody knows, in the end you are going to be the main suspects. Interlocutor: That’s clear. to be more precise on this topic, What would be the biggest capacity that a human being had or can be able to have on this matter? What I want to know is if a person, let us say the most skilled person there is, can have the capacity to see in his mind, with all clarity, as if it were a movie, a murder, where a body is buried and the criminal’s identity. I clarify that I am referring exclusively to the 10% embodied, not to the 90% or Thetan. I am not speaking about the communication he can have with the spirits of error, spirits of Light or his own thetan. Ruanel: Let’s speak only speak of the 10%. Indeed, there are people that have a great intuition and they can perceive, when they have certain empathy with the victim, the place where a body is buried. In fact it is not exactly empathy, but I use this word due to the lack of a better term in the earthly language. It is something similar to radiesthesic rods that detect water. It’s also similar to the fact that me, incarnated, having a great affinity with you, I can perceive how you are. Interlocutor: Well, but are you speaking about exceptional cases. Is there something more common on this matter? Ruanel: Of course I am speaking of exceptional cases, because I am not endorsing that technique at all. Interlocutor: The human being, then, doesn't have that kind of abilities at all? What is “clairvoyance”, “clairaudiance”,”clairsentience” ? what I want to know clearly is if these abilities exist. Interlocutor: But that’s what all of us do when we see with our eyes! Ruanel: Of course, except those who are blind. Interlocutor: I want to clarify the idea a little bit. What I want to know for sure is what can be transmitted to a person by the spirits of error to make him believe that he has extraordinary perception or what his own Thetan can transmit to him. For example this vessel Jorge, at this moment. Let’s suppose that he decides to help the Police, What capacity he has to do it? Ruanel: Very little, his capacity is developed, at the present time in more than 96%, exclusively for mediumship. Interlocutor: Now let’s suppose another person then. To which point he can help the Police to discover the author of a crime? Could a person with great intuition see, for example, in his mind like in a cinema screen all that has happened in a crime fact? Ruanel: No, categorically he can’t. Interlocutor: But the spirits of error, they can transmit to him so that he perceives it? Interlocutor: And his own Thetan? Ruanel: Yes, but the person would have to be prepared to have a full contact with his Thetan or with the entities of error so that they could tell him. In most of the cases they give him confusing ideas. Interlocutor: To summarize the issue of clairvoyance Are all the things of that sort false? Concretely Nobody has the capacity to see what another person is doing in the same time, has he? Ruanel: No, because that doesn't exist. Besides I want to clarify something about clairvoyance. When I recently said that clairvoyance means “to see”, it is because esoteric people take clairvoyance not as fortunetelling but as precognition, what it is also called premonition. Interlocutor: Does something like that exist? Ruanel: Precognition in fact, is a higher ability where you say: “oh! somebody is going to ring the bell or somebody is going to call me!, and a moment later that happens . Or you are thinking about a person called Ernesto and suddenly that person named Ernesto calls you. Interlocutor: Well, but that also has happened to me. Ruanel: That’s because Thetans communicate to each other and your Thetan warns you that such person is going to call you. Ruanel: What I want to clarify is that there is no such mystery about this. Interlocutor: Well, I admit that I thought that these abilities existed in some people, but now you warned me that I have to underrate them. Ruanel: If they exist they are so little developed that they don't deserve to be considered. Interlocutor: But could a thetan help a little? Undoubtedly the person would have to have his mental decoder very developed and a very special connection with his thetan. Ruanel: Of course! For example You, although you have a good communication with your thetan, your thetan will transmit you an idea and it’s very difficult that you could receive that idea. Ruanel: Because the same noises of the physical plane sometimes prevent you from perceiving your thetan. This entry was posted at Monday, September 21, 2009 and is filed under Mysteries and Enigmas . You can follow any responses to this entry through the .